Today (8/2) ONLY – this Evenflo 34611644 Symphony DLX All-In-One Car Seat, Alexandria is $139.99 (Retail $209.99)! Extended use from birth to harnessed booster mode. The Evenflo Pro Comfort Protection Symphony DLX All-In-One Car Seat now offers a new Gel-Matrix material for optimal comfort through the alleviation of pressure point buildup. Symphony DLX also provides parents superior e3 Side Impact protection to keep their child safe alongside features that help make installation as easy as possible. 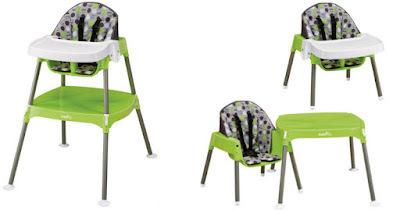 This All-In-One seat accommodates children ranging from 5-110 lbs. with the most innovation and value on the market. Symphony DLX provides exclusive safety features like Sure LATCH technology; you simply Click, Click, Push for a super-fast and super-snug installation in less than 60 seconds! Protecting children is our core mission at Evenflo. For almost a century we have been a leader in safety, innovation and education. Knowing that one in four automobile accidents are side impact collisions, we go beyond the current government standards when designing the next generation of Evenflo car seats, including the Symphony. -New! Gel-Matrix material for optimal comfort. Gel-Matrix alleviates pressure point build-up that occurs from sitting for an extended period of time. -Superior e3 Side Impact Protection significantly reduces the forces in side impact crashes through advanced energy absorption and an expanded zone of protection. -Sure LATCH Safety in 60 seconds! Simply Click, Click & Push for a super-fast, super-snug installation of the seat to the vehicle. -All-In-One Car Seat – The only car seat you will ever need! -Infinite Slide Harness easily slides for an accurate fit every time. No reworking the harness as child grows! -Side Impact Tested! Meets or exceeds all applicable federal safety standards and Evenflo’s side impact standards. -Designed and tested for structural integrity at energy levels approximately 2X the federal crash test standard. -Certified For Use In Aircraft: ONLY when used with the 5-point harness this restraint meets FAA Inversion requirements for airplane use. Today (4/18) ONLY – Amazon is offering Up to 35% off Select Graco Car Seats, Strollers and Gear $67.99 – $168.99! For example this *HIGHLY RATED* Graco Pack ‘n Play Playard Bassinet Changer with Cuddle Cove Rocking Seat is $97.99 (Retail $199.99). Starting today, 1/15. at Walgreens, Huggies diapers, Pull-ups and/or Goodnites are on sale for $11.99 each or 2 for $18 ($9 each). If you spend $30, you’ll receive $10 register rewards. Plus, we have printable coupons and rebate deals thru 1/19 that will yield these deep savings. Lastly, we also have an in-ad coupon that will give you 5x everyday points…load it to your Balance Rewards card so that you don’t forget at checkout. 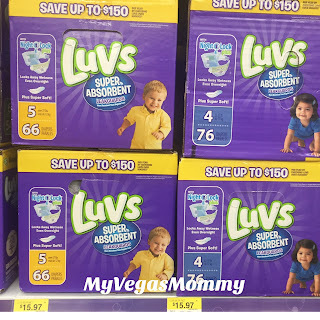 We’ve got a $2 off printable coupon on Luvs right now and it pairs nicely with a high value $5 off Checkout 51 rebate. Use it at a low price leader like Walmart to score a HOT deal on diapers. 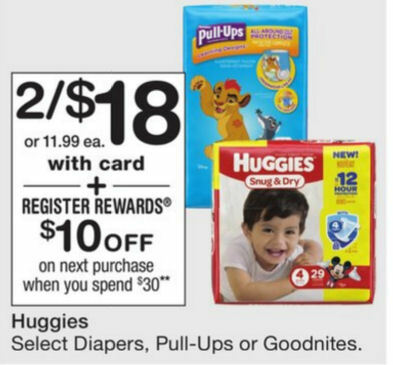 If you are in need of Pull-Ups for your little one, you may want to go ahead and print out this coupon to save $2/1 PULL-UPS Training Pants or GOODNITES Product (Not valid on 6 ct. or less) coupon for some savings at CVS!